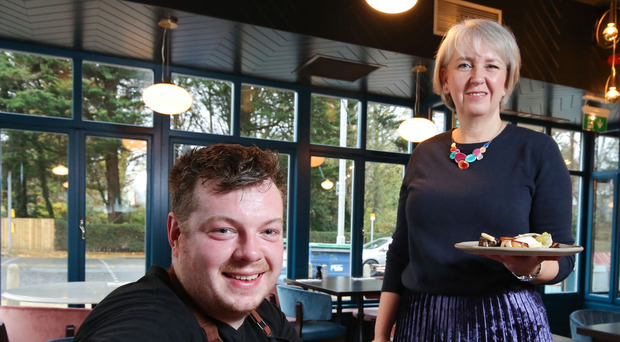 An East Belfast restaurant has completed a £750,000 expansion project, doubling its space and creating 18 new jobs. Supported by Danske Bank, the development at Cyprus Avenue will also see a new central wine bar and additional seating as well as a semi-private dining area for private events. Further work is due to be carried out in spring next year on the outside patio area at the front of the restaurant. "We hope the increase in space and new central bar area will allow guests to spend more of their evening at Cyprus Avenue." Karen Hoey, business manager at Danske Bank, said: "Following its opening nearly two years ago, Cyprus Avenue has gone from strength to strength and is one of the most popular restaurants in the east of the city. "Due to its popularity, there was a need for the restaurant to be able to cater for more diners which gave them the opportunity to expand the premises. "We look forward to hearing more about the success of Cyprus Avenue." By Ryan McAleer Manufacturing NI chief executive Stephen Kelly has backed Hospitality Ulster in criticising plans for a limited change to Northern Ireland's licensing laws for 'special events' only. By Margaret Canning The owners of an award-winning fine dining restaurant in Northern Ireland have blamed a rent hike by their Church of Ireland landlord for a decision to shut after five years. By Emma Deighan The man behind Gilfresh Produce has been awarded the historic Belfast Telegraph Cup at a farming industry event. By Ryan McAleer An old water pumping station in front of Belfast's Waterfront Hall could be turned into a restaurant under plans by its new owners.